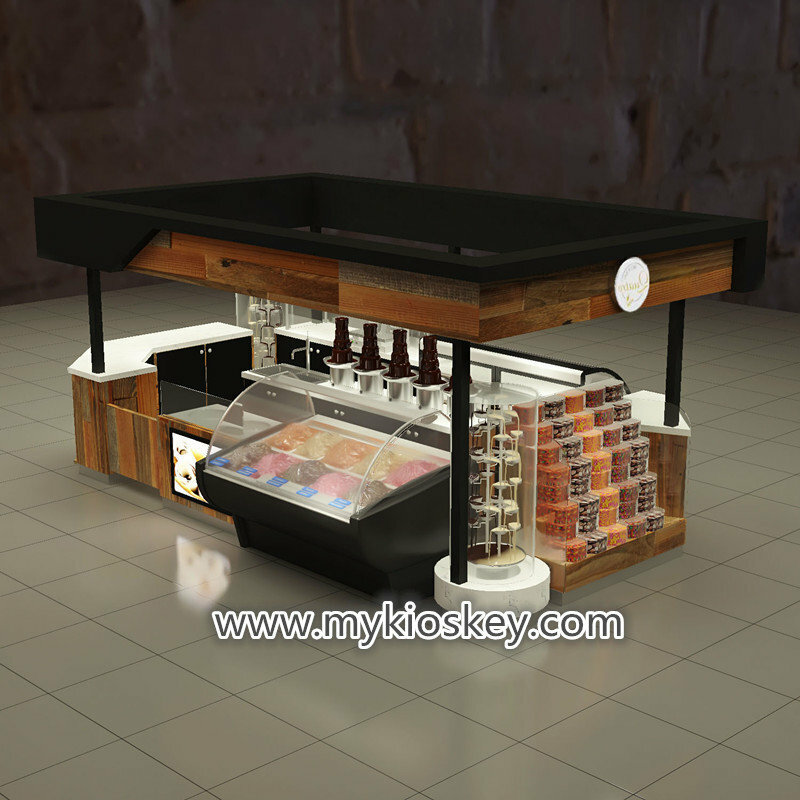 design is very attractive and it is steps display way on both side , kiosk front have a mini fridge , broadsize have a hide 3 compartment sink , the kiosk also with roof with tv display . 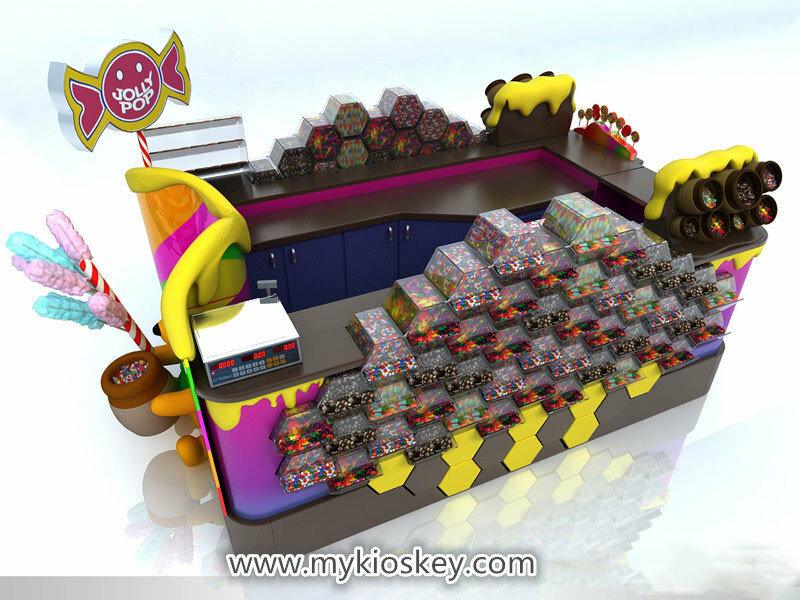 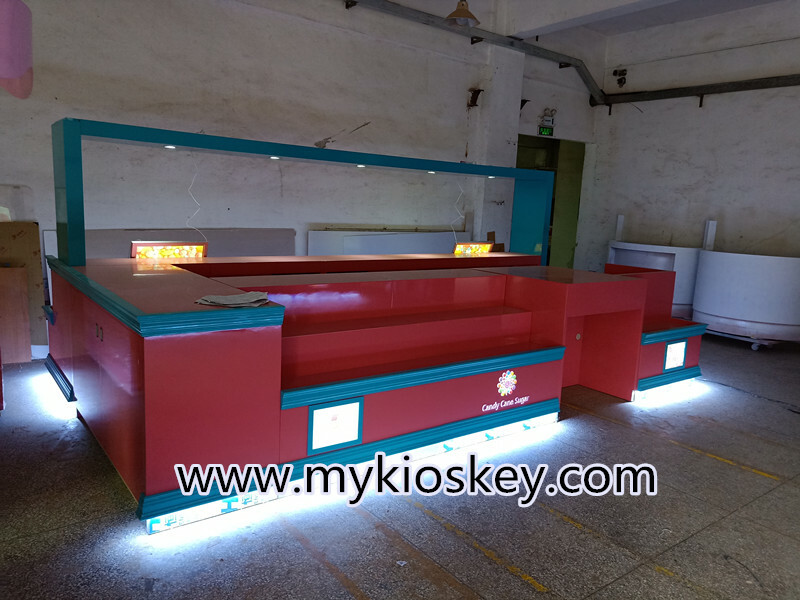 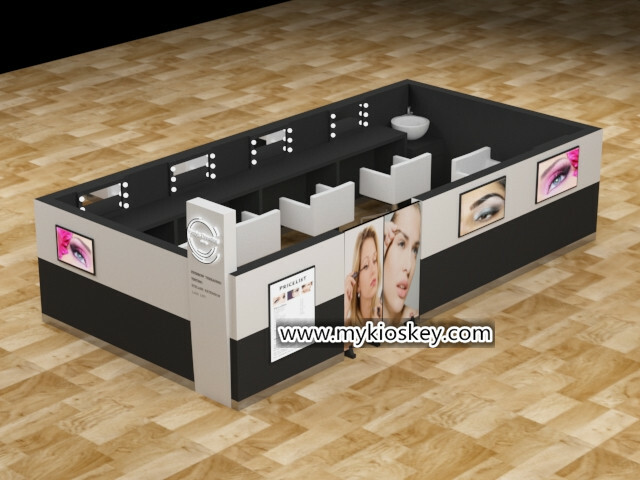 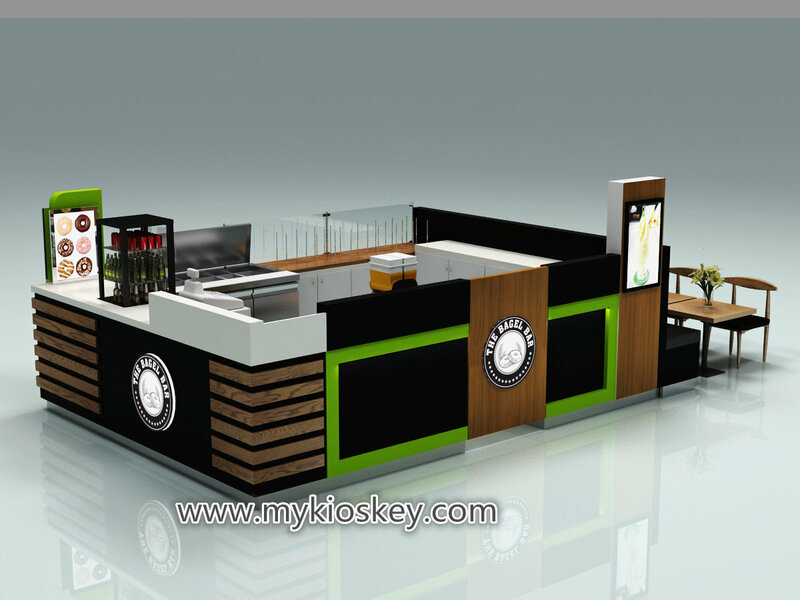 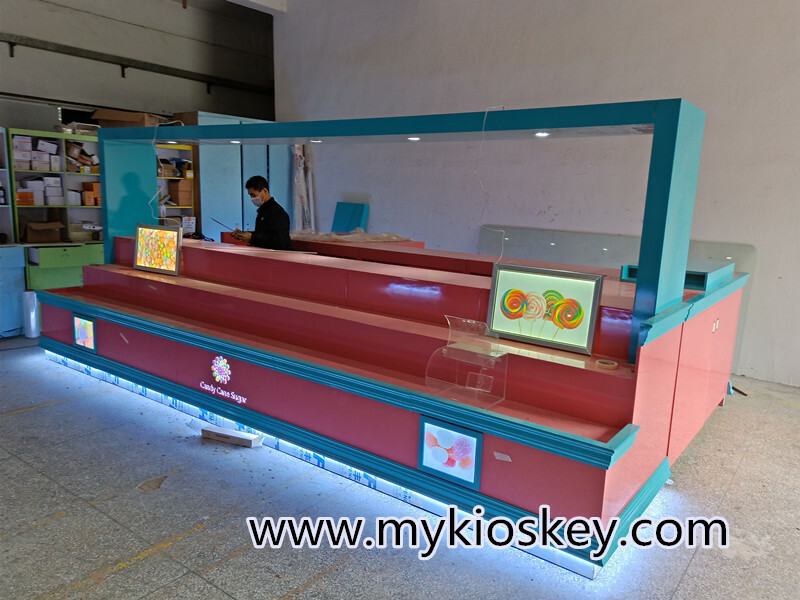 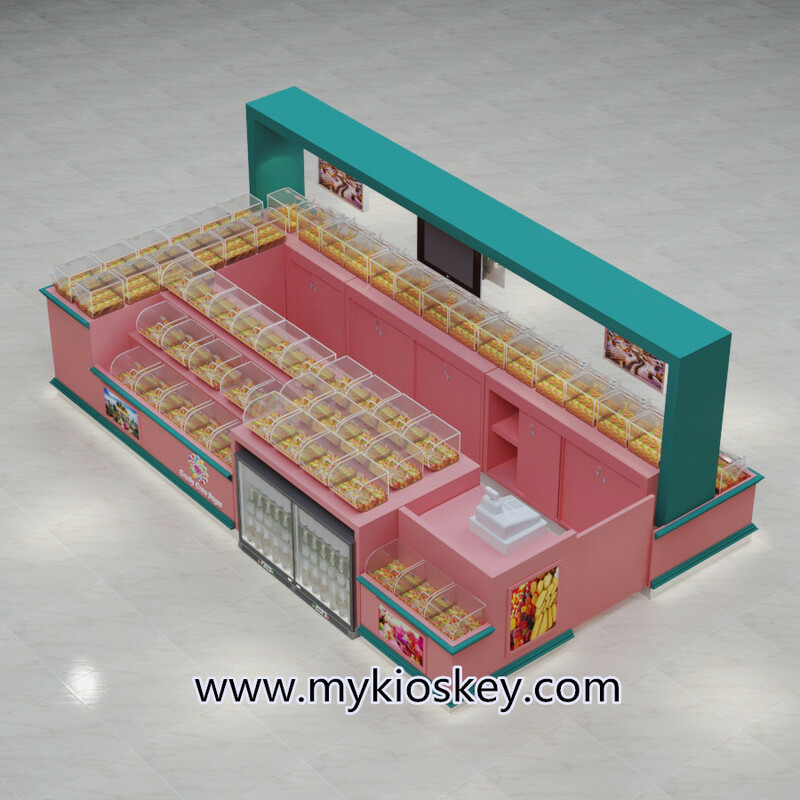 body of kiosk we put customer logo and attractive posters , inside of kiosk for shelves storages , door is for sliding , do you like this candy kiosk design ? 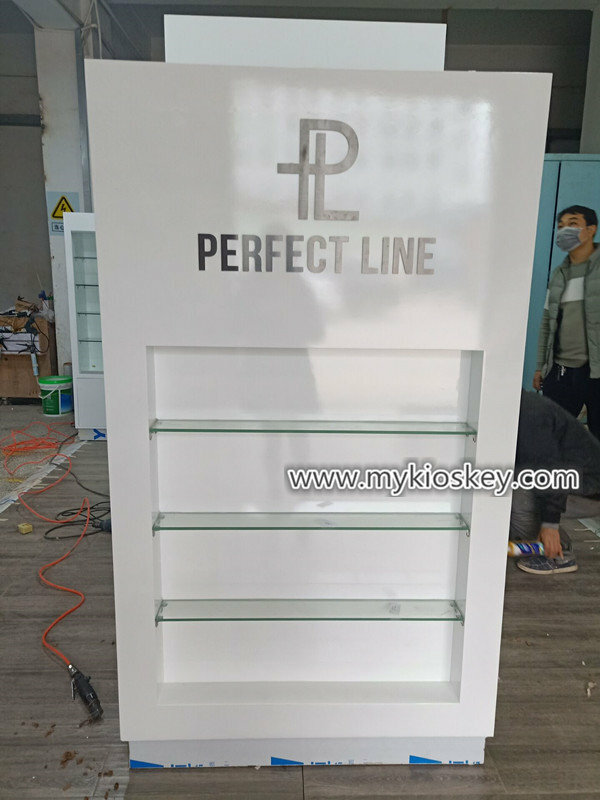 Preparing sturdy wooden carton ,the thickness of wood is min 9 mm . 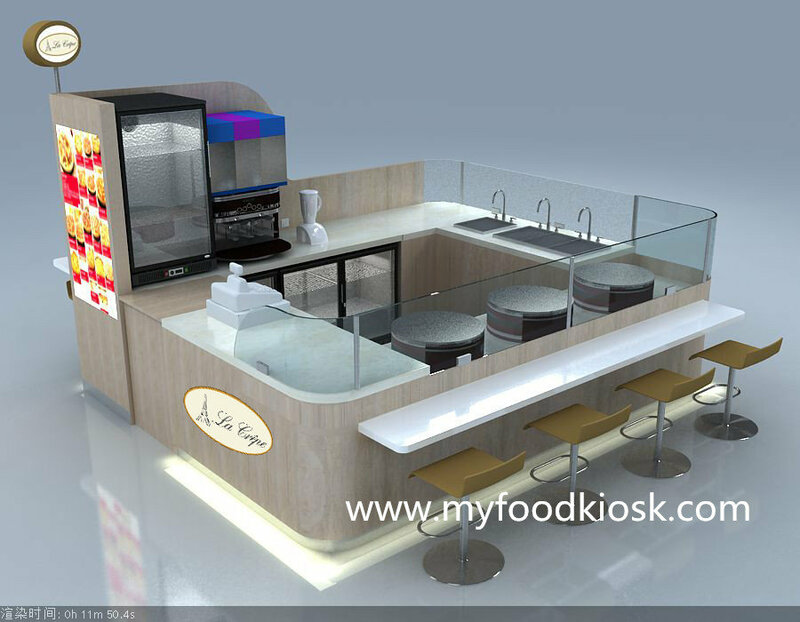 Adopting foam packing and soft EPE protection . 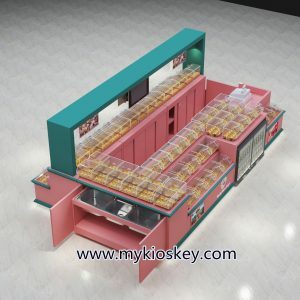 Foam between the product and wooden carton . 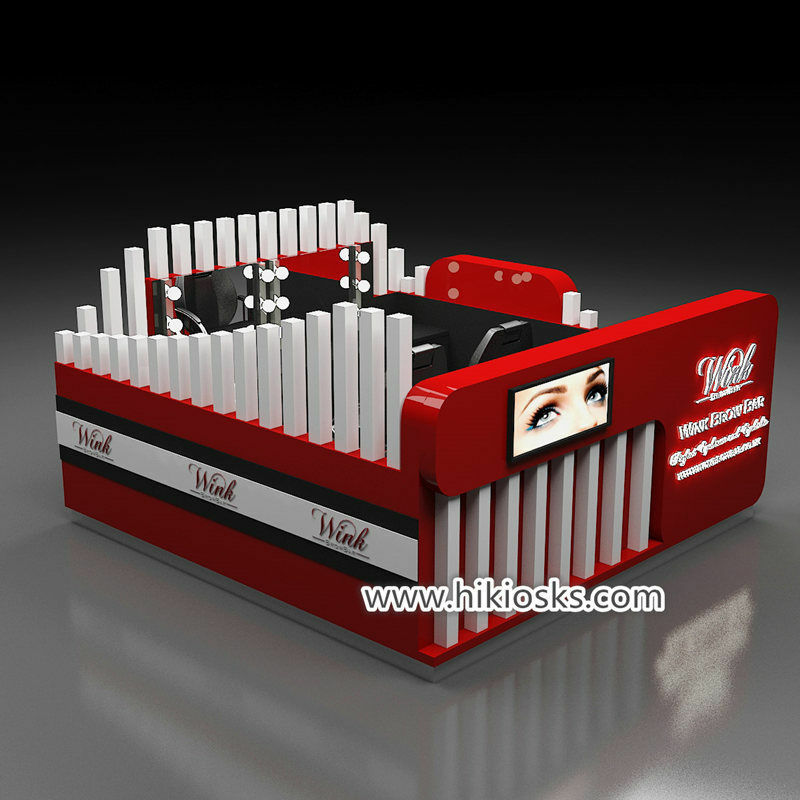 Thickness 12 mm X 100 mm width frame for each sides of carton . All wooden cartons can’t move casually in the container when transportation . Process Shipping Information of jewelry kiosk . 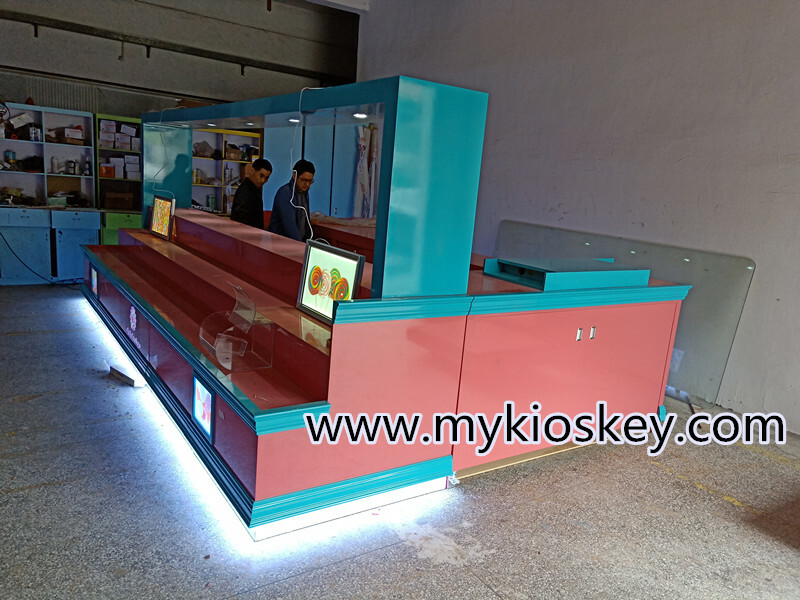 Thank you for your time , if you are interested in our candy kiosk design , welcome contact us for more details and custom new kiosk for you .